Welcoming. Supportive. Family-friendly. 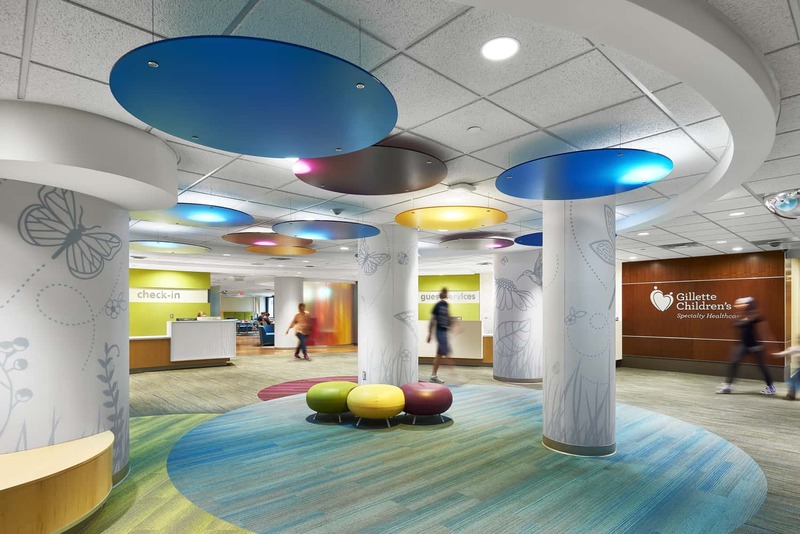 Gillette Children’s Specialty Healthcare worked with BWBR to improve the experience of its special patient population by renovating the Saint Paul hospital entry and creating larger, private rehabilitation inpatient rooms. 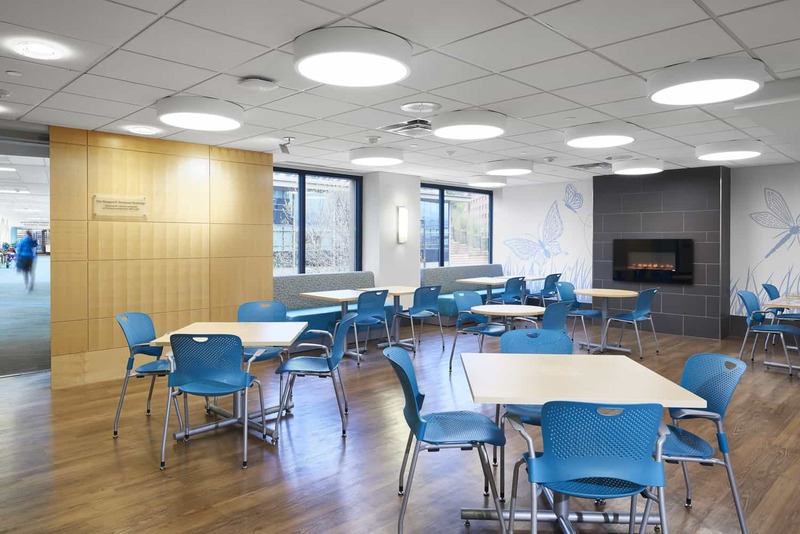 From check-in to check-out, the team paid special attention to creating an accessible, easily maneuverable space for patients with wheelchairs and other assistive equipment through the strategic use of extra-wide doors, seating, and open spaces. 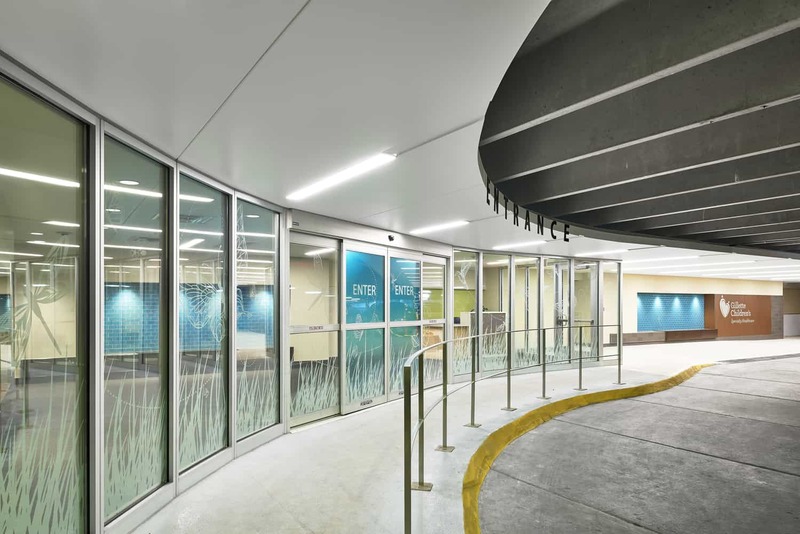 A new entry vestibule addition eases patients into a visible, well-lit, safe, and temperature-controlled environment. An expanded registration area provides space for improved check-in privacy. 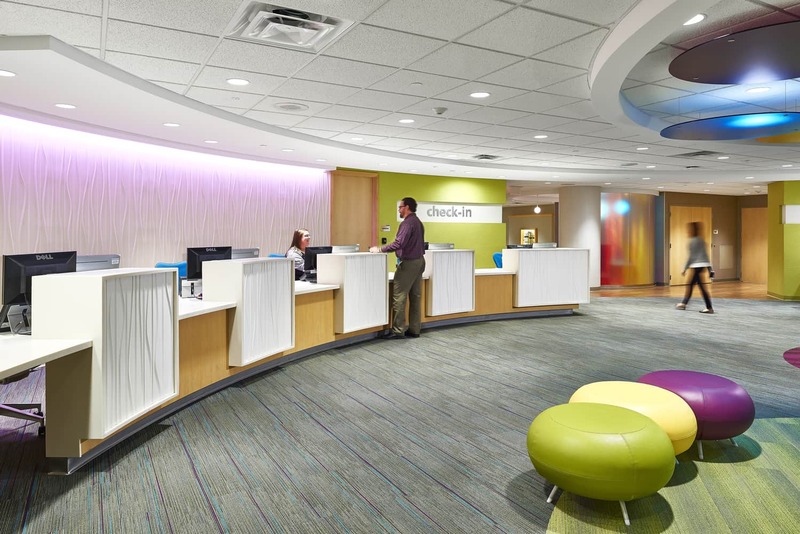 Nearby, an expanded information desk greets visitors and offers family support services. 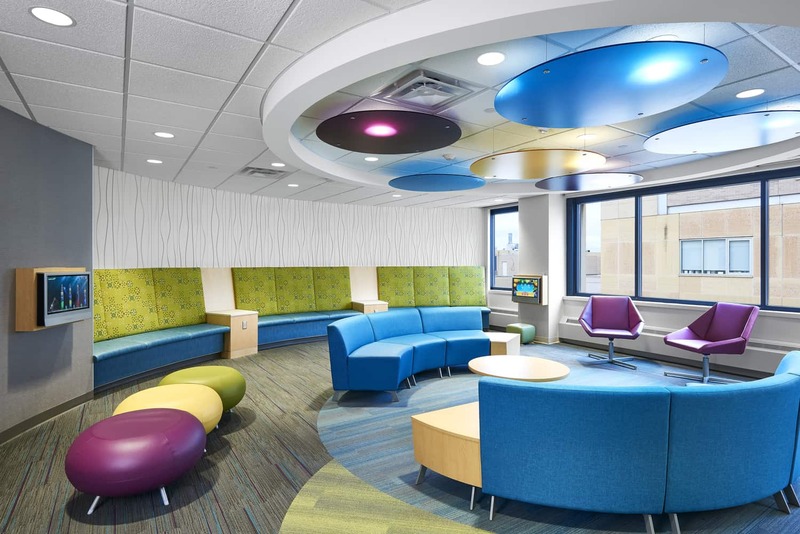 The clinic waiting area doubles to support inpatient children’s activities and features a playful new design, including seating and activity options for families of all ages, sizes, and abilities spending time at the hospital. By relocating registration, the rehabilitation inpatient unit expanded into the newly available space. The unit’s new and existing rooms were converted to private, family-oriented layouts, and each room features increased storage space and a private bathroom to accommodate families with longer stays. 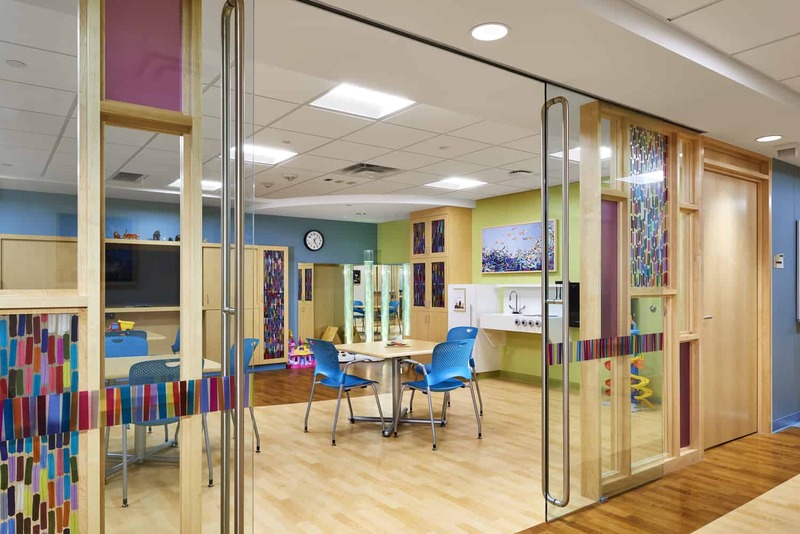 For patients with limited mobility, two inpatient rooms are equipped with “sip and puff” technology, giving children control over their room and environment, including lighting, TV, nurse call, and window shades.